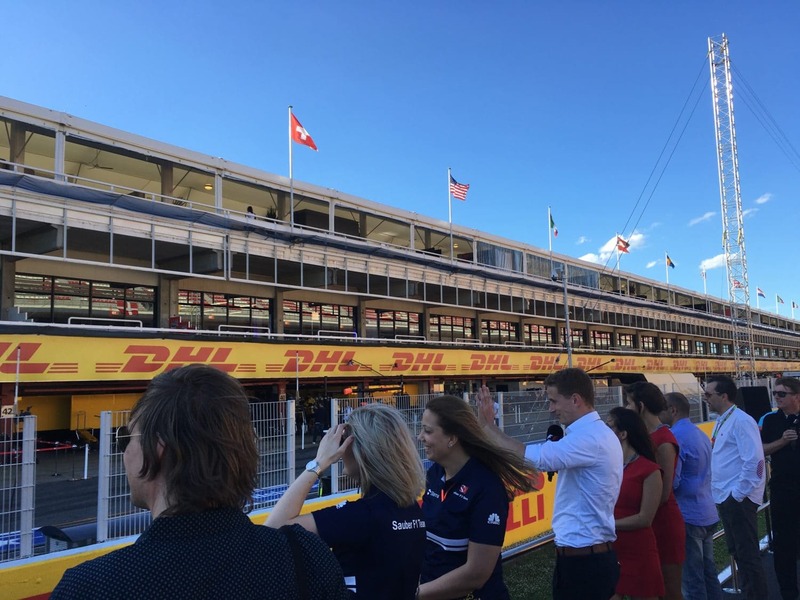 The arrival of F1’s new owners, Liberty Media, was surrounded with excitement over what changes they might bring to the sport, and, as fans, we hoped that might include more openness and engagement. 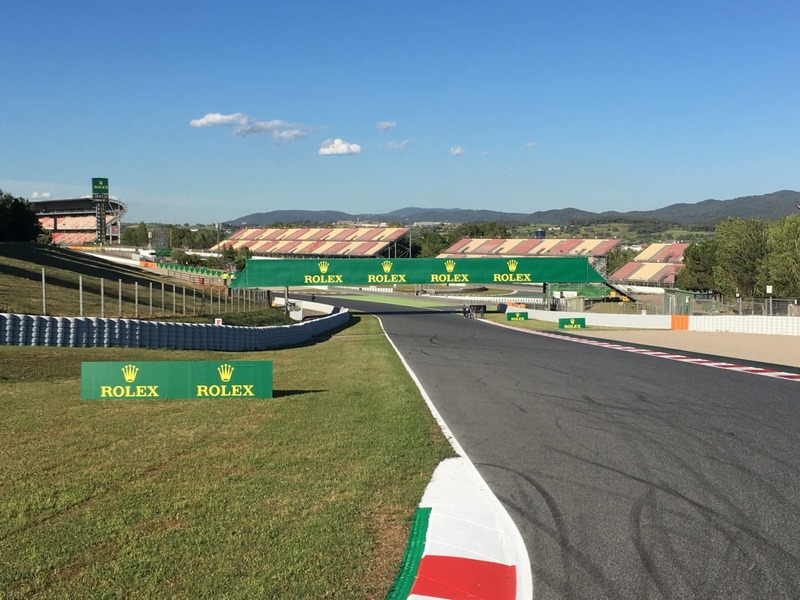 As we arrived in Barcelona, there was much talk of new initiatives that would be starting there, so here’s a round-up of what we found waiting for us at the Circuit de Catalunya. 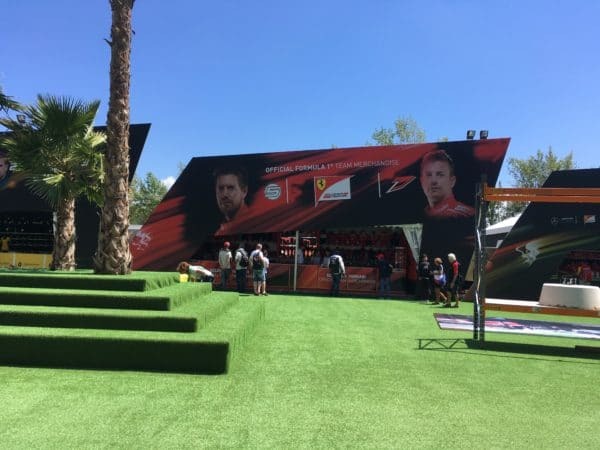 The biggest changes were in the Fan Village. 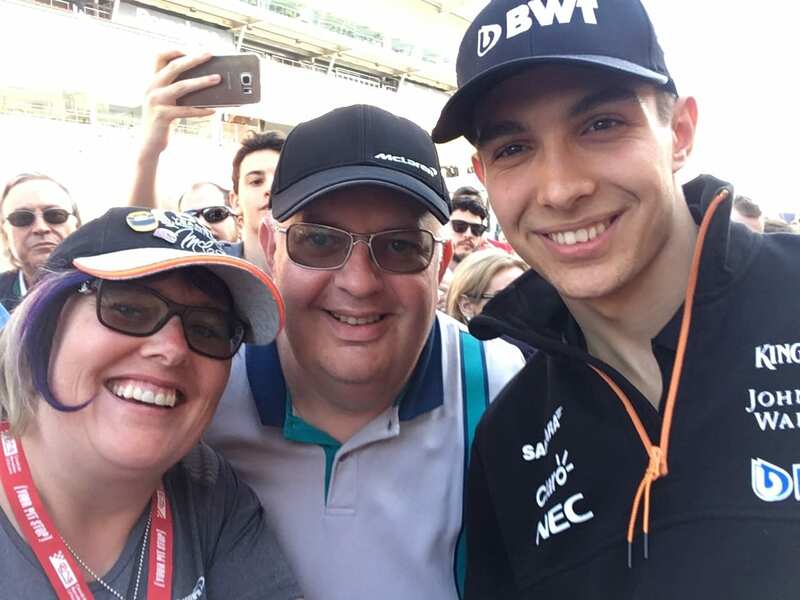 Typically the hub where fans congregate to grab a bite to eat, buy merchandise and touch base with one another as we might all be sitting in different grandstands. 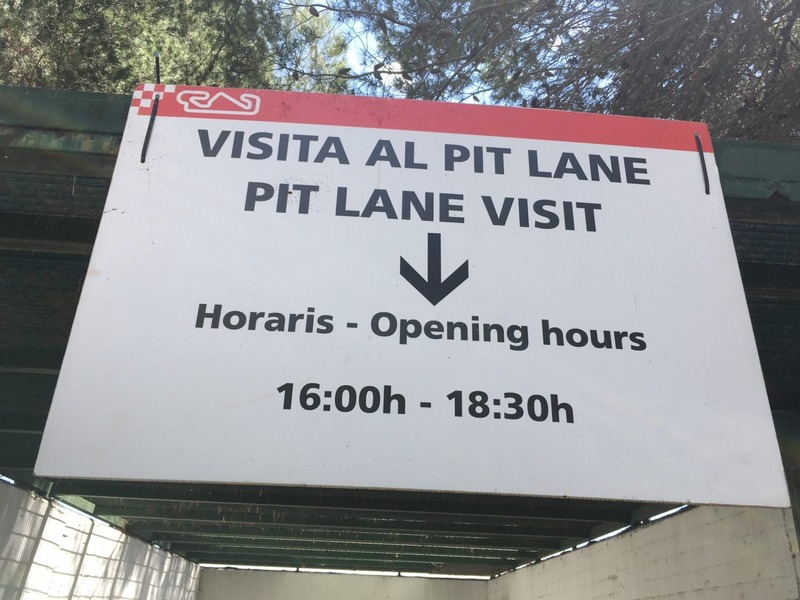 At the Spanish GP, this resides in the area behind the main grandstand and this year, we arrived to find a much more welcoming open space which had been carpeted in astroturf (a little slippery on a rainy afternoon, but otherwise lovely). We also found more communal seating. Previously this had been limited and we often ended up sitting on the concrete at this race. This year, there were plenty of places to perch, with a few palm tree thrown in for good measure. 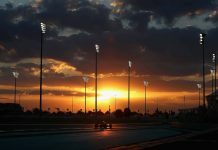 It definitely felt more like the areas we’ve previously seen at races like Abu Dhabi. Podium Jump – bounce on a trampoline to give yourself a leaping souvenir podium shot. 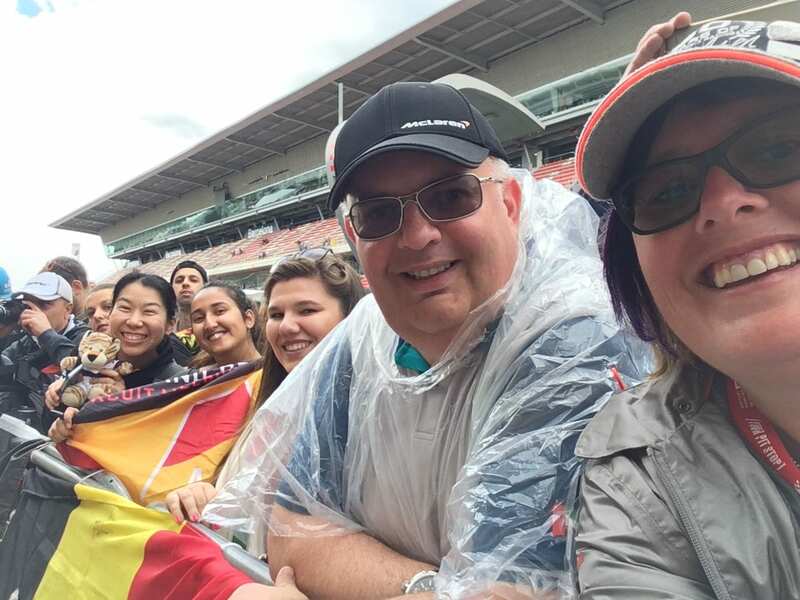 Wave the Flag – a photo of you with the chequered flag waved as if your favourite driver is crossing the finish line. 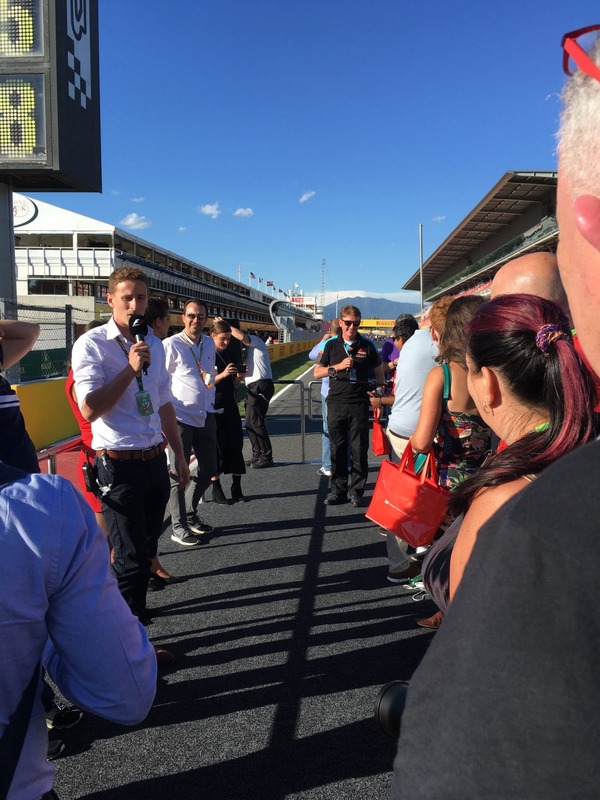 The Pirelli Pit Stop challenge – your chance to try your hand with a wheel gun, using real wheels for authenticity. Reflex Zone – a Batak wall similar to that drivers use to train their reflexes. 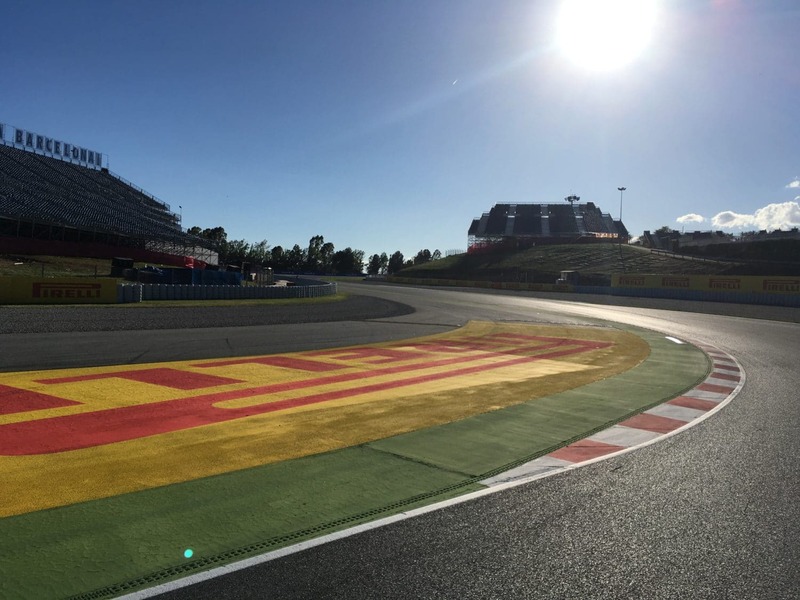 Race Zone – an area with simulators. 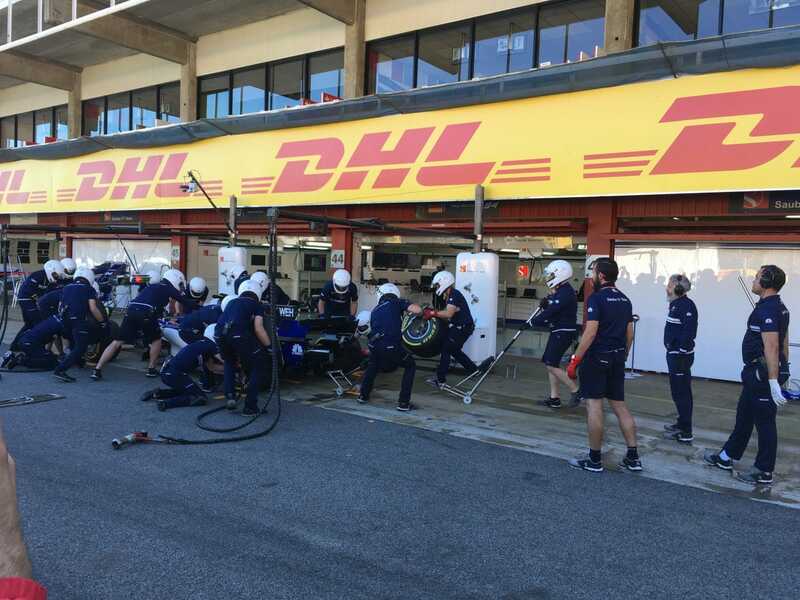 Merchandising stands – in Barcelona, a great improvement was that these were broken out individually, rather than in the big, dark, and very hot marquee that we have had in previous years. 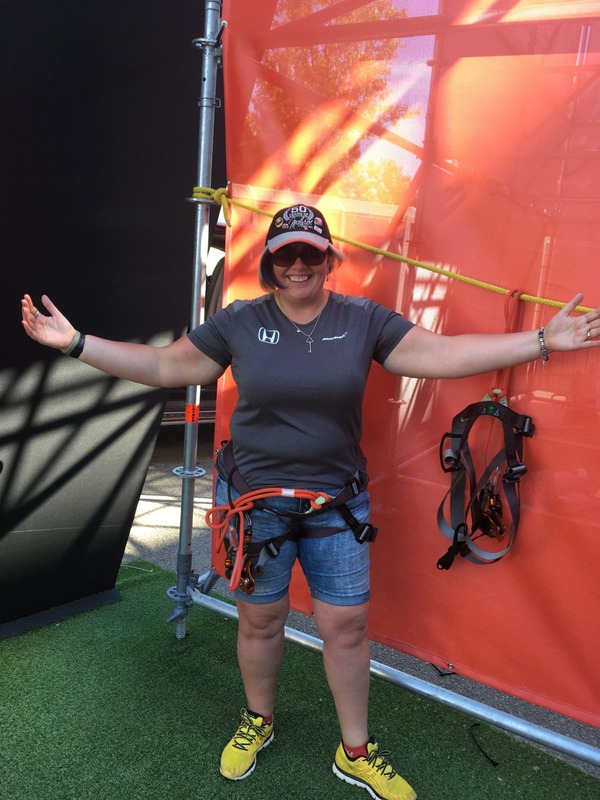 More sponsor involvement. 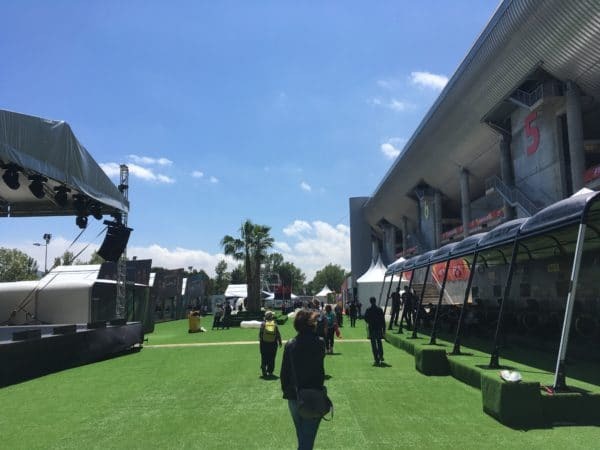 Our friends over at Heineken had built a bar area in the Fan village, only serving alcohol-free beer in Catalunya, as per the circuit rules. 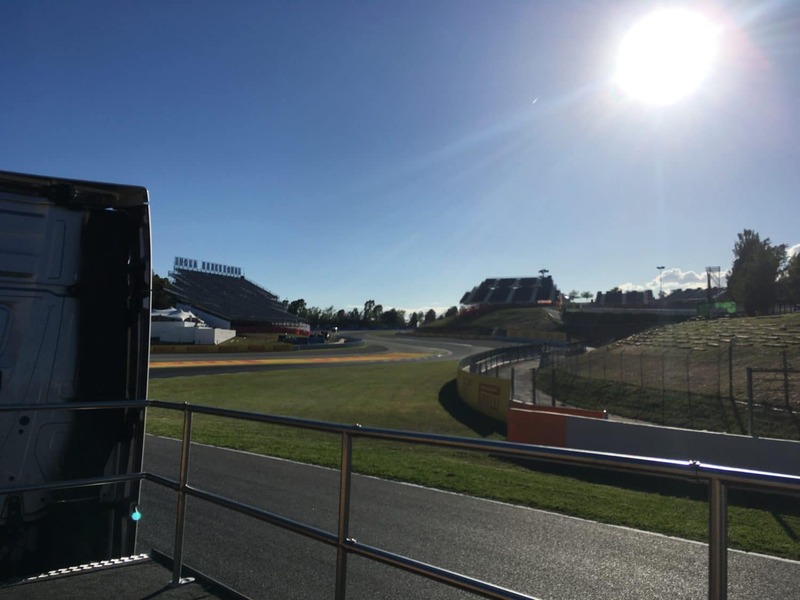 A stage with live bands and driver appearances/interviews. More food and drink outlets. 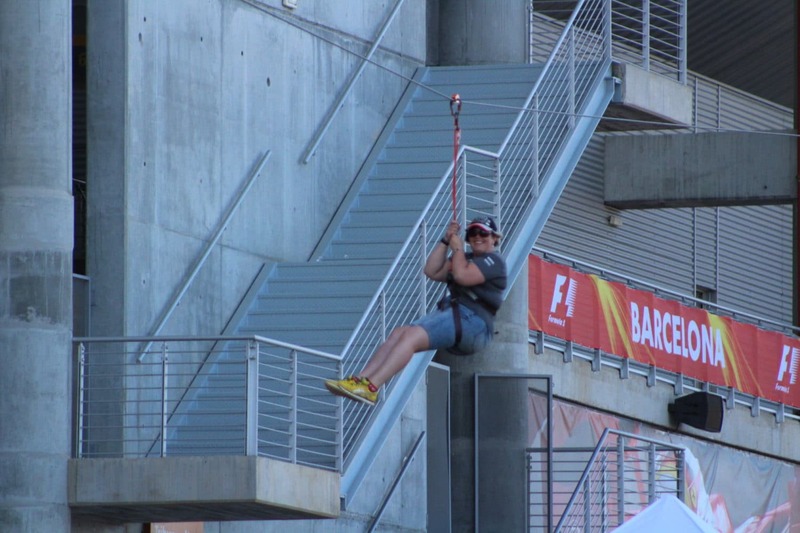 A zip wire – attached to the top corner of the main grandstand, and then suspended across the fan village. And yes, I did partake! 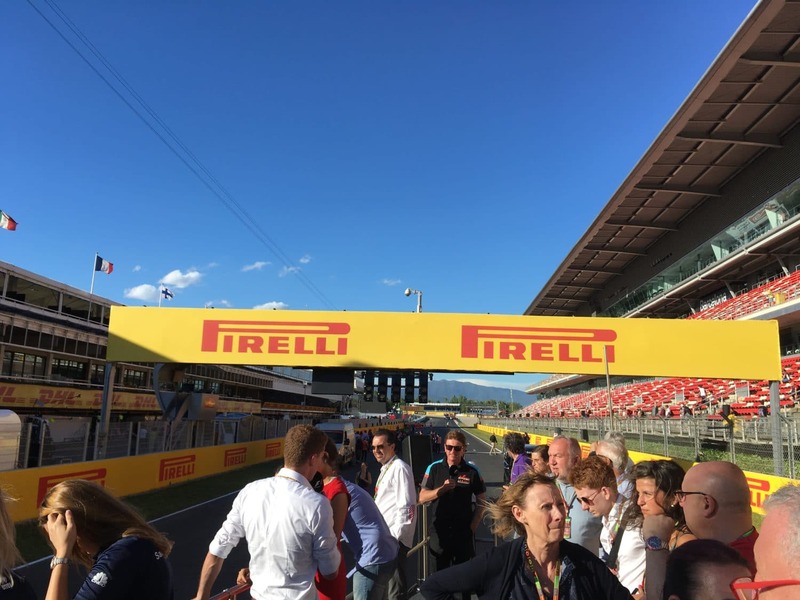 The Circuit de Catalunya Public Pit Walk deserves a mention too. 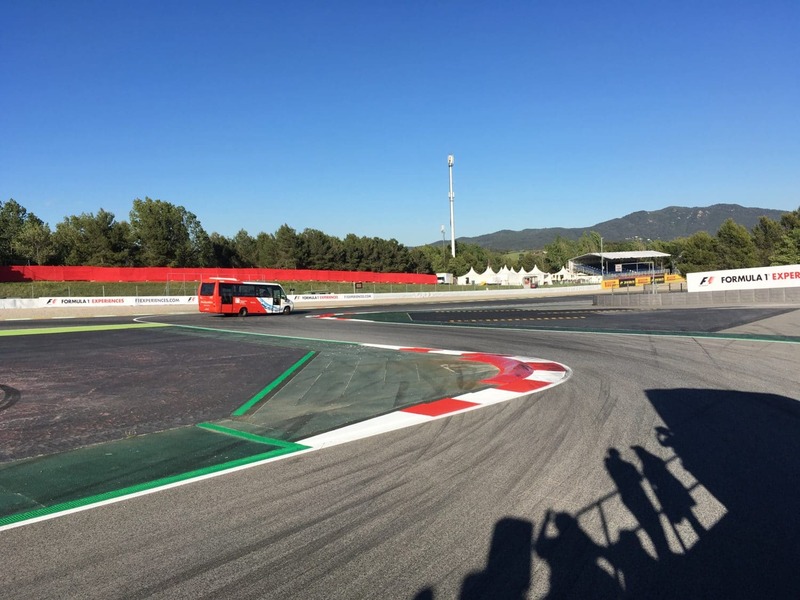 Not a new initiative for Barcelona, but other circuits take note! 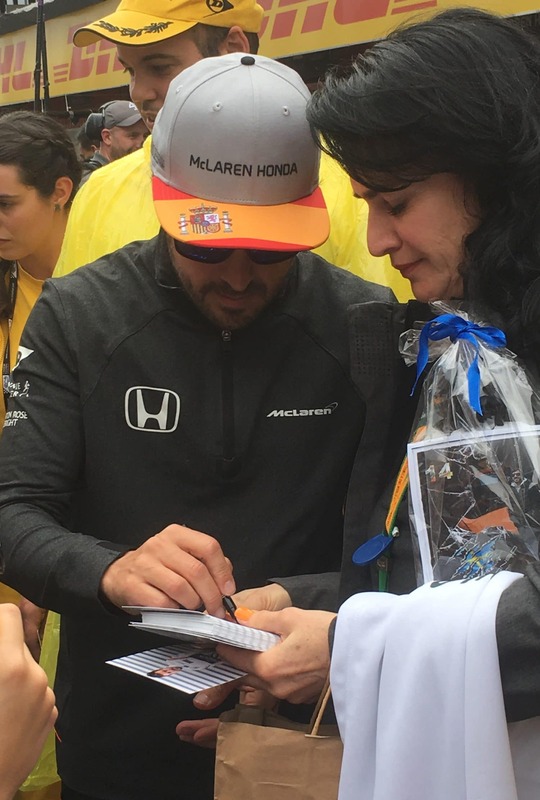 This is always a great event for fans, with all teams participating and drivers coming out during the session to sign. 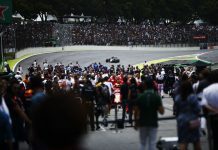 This gives fans a full 2.5 hours to walk up and down the pit lane, look at the safety car, the podium, watch teams working on their cars, as well as wheeling them along to the weighbridge and doing pit stop practice. Definitely something not to miss. 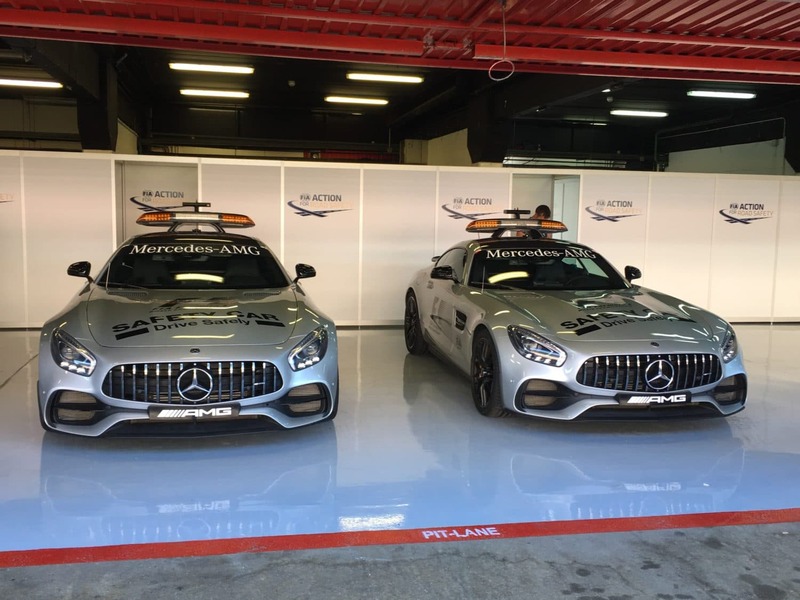 There were also new activities available as part of the Paddock Club, with the arrival of the two-seater cars that have been used in Melbourne for the past few years. 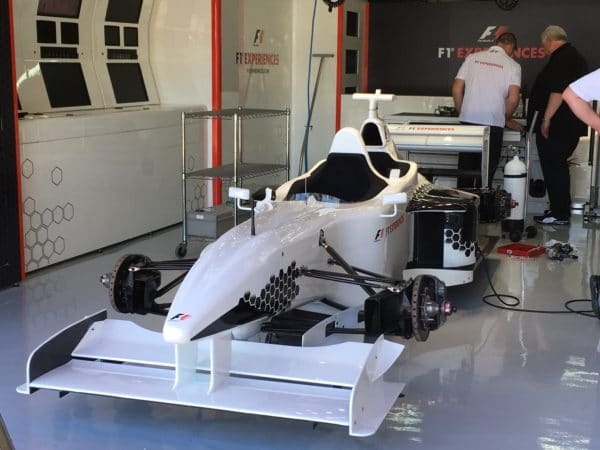 Ex-Minardi owner Paul Stoddart and his team have purchased ex-Manor kit to be able to set-up a fully working garage environment, and the sound of the cars was AMAZING! Alas, it seems that in these early days, this is more reserved for the media in attendance, and despite asking, we were unable to partake, but we hope this will be more accessible to fans in the future. 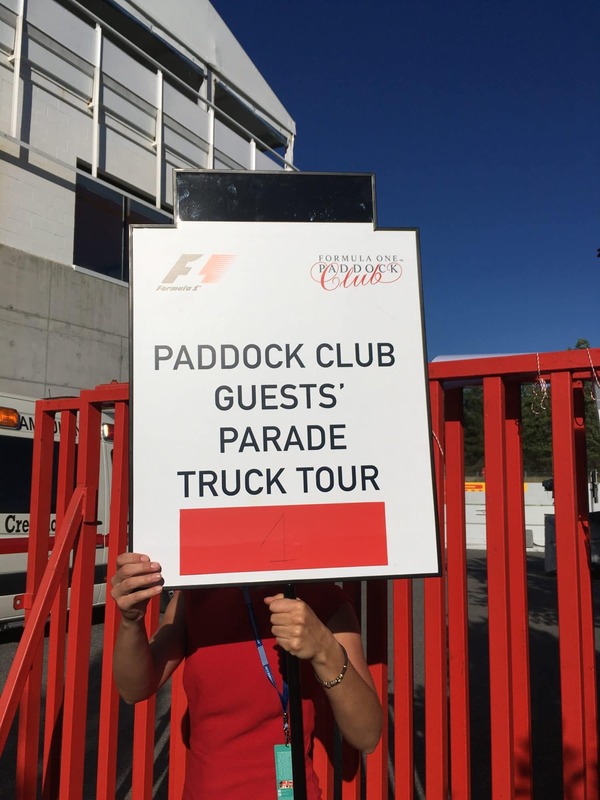 There was also an opportunity to go on a lap of the Circuit de Catalunya on the driver’s parade truck. 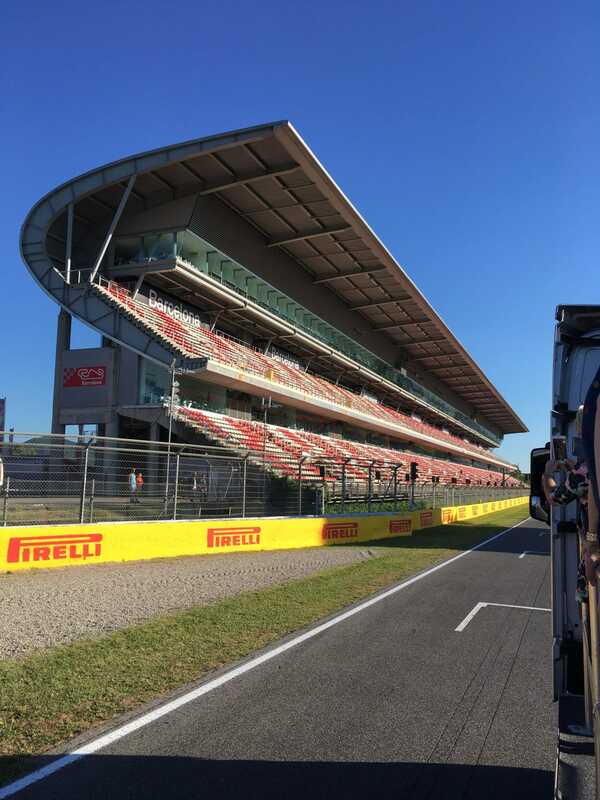 This was a great experience, narrated by one of the paddock club representatives in conjunction with a driver trainer, and it really demonstrated the undulating nature of the Barcelona track, pointing out the gradient changes and the sausage kerbs that drivers would really want to avoid! 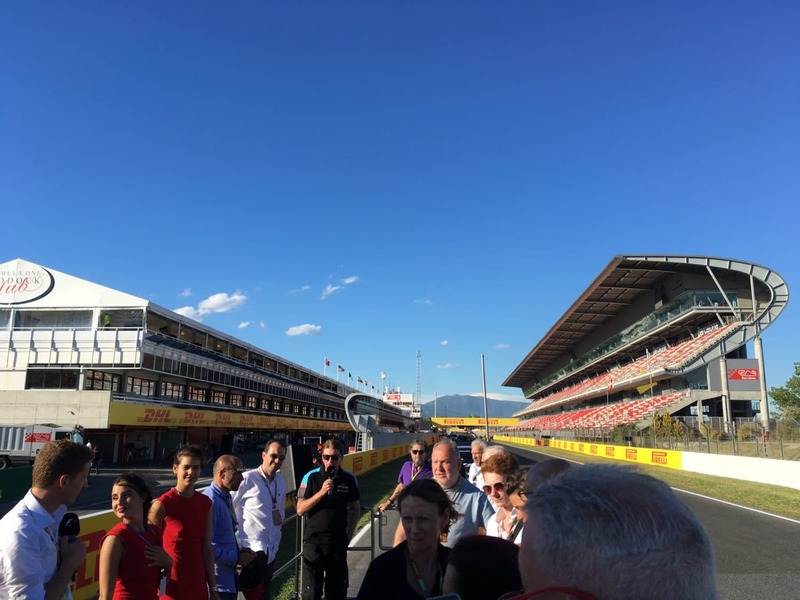 It was noticeable that the take-up of this experience was mainly from the “real fans” within the Paddock Club, and I’d really hope that this would be something that is considered for rolling out for everybody at a race by application – charge, say, 10 euros per person and let all fans experience this! 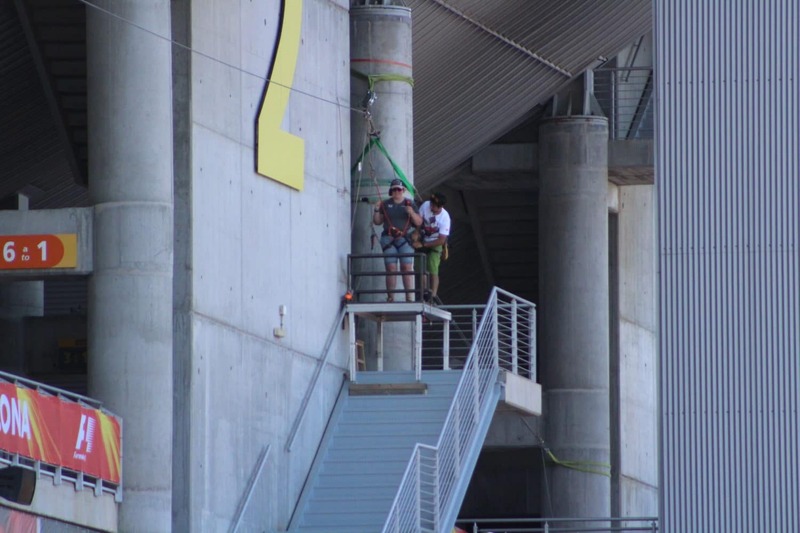 In conclusion, the new owners have definitely listened to the voice of the fans, and they are looking to add more elements, and therefore more add more value, to the tickets that we save our pennies to buy. 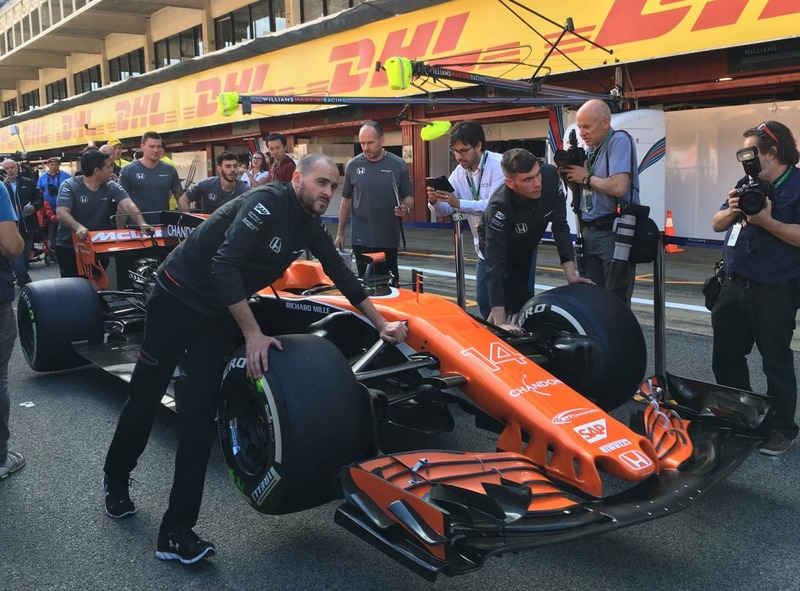 It’s a great start, and I can only see this evolving with more new initiatives arriving at each race. Fingers crossed!